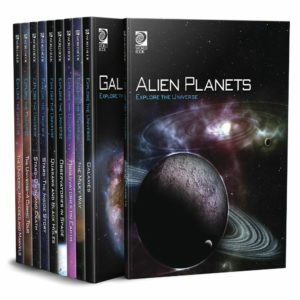 This set is a companion to Explore the Universe. Together, the two sets cover astronomy curricula from upper primary to high school. 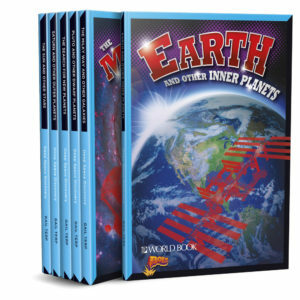 The revised series incorporates the recent flood of new discoveries about the sun, planets, and other objects in the solar system. 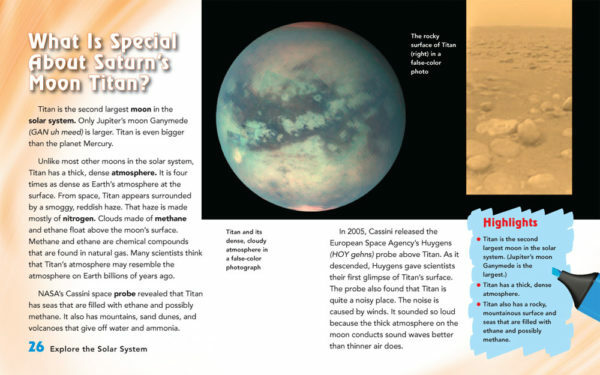 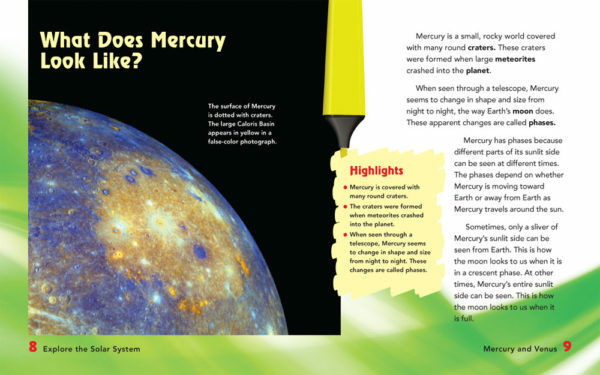 Introduce the basics of the solar system with fun facts, diagrams, and concise, engaging text. Learn about early space exploration, recent discoveries, and characteristics of planets. 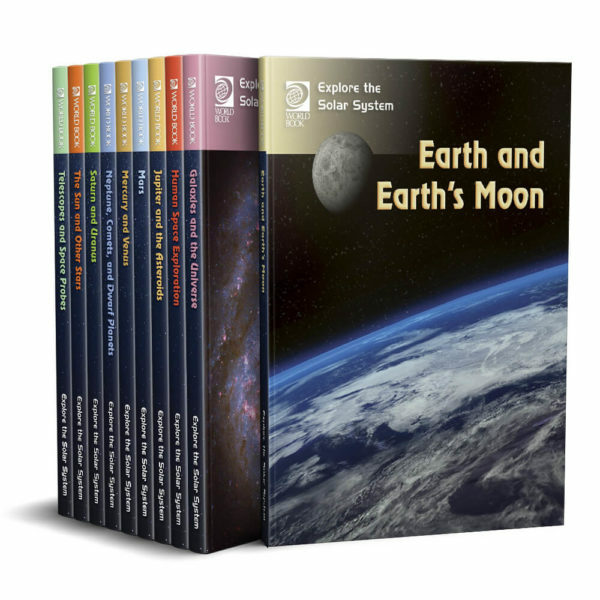 Take a virtual field trip to space with incredible photos taken by NASA. "Highlights" in every section reinforce important information and key takeaways.